Recently the Indiana Medical Device Manufacturers Council’s Executive Director Kathy Heuer sat down with the Greater Fort Wayne Business Weekly to discuss Indiana’s $10 billion medical device industry, including growth, innovation and the workforce challenges ahead. Currently, Indiana is the fourth largest manufacturer of medical devices in the United States, with the average medical device worker bringing home $69,000 in wages. As the year winds to an end, the industry is hopeful that favorable legislation will pass under a new presidential administration, opening the door for a renewed focus on innovation and growth. 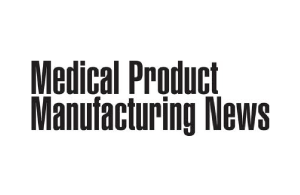 Renewed focus on innovation This year was one for renewed focus on innovation in the medical device industry, according to Kathy Heuer, executive director of the Indiana Medical Device Manufacturers Council. A two-year suspension of the 2.3 percent medical device tax went into effect this year. The tax was crippling to some of the region’s smaller and mid-sized businesses, Heuer said. “Once the suspension went into place, businesses were able to focus on renewed research and development, were able to take a new look at projects that had been shelved for two years due to the uncertainty of the tax, and saw a resurgence in new business, resulting in expanded employment,” she said. Heuer said the industry is hopeful that it will see a full repeal of the tax with the new Congress. Full repeal would remove uncertainty and create an environment that is conducive to innovation and growth, she said. At Zimmer Biomet in Warsaw, the savings from the tax suspension is allowing the company to reinvigorate new and existing research and development projects that will improve musculoskeletal healthcare, Monica Kendrick, a Zimmer Biomet spokeswoman, said in an emailed statement to Greater Fort Wayne Business Weekly. Part of the renewed focus on innovation are advancements in 3-D printing and imaging, allowing more efficient, cost-effective and catered joint replacement and repair solutions. Using only a patient’s X-rays, CT scans or MRIs, medical device companies can plan out what surgical tools are needed and better assist the surgeon in choosing what implant is best for that particular patient’s surgery. In many cases, the images allow the surgeon and orthopedic companies to work together to create personalized guides for that specific surgeon and patient. This cuts down on procedure times and the amount of tools a surgeon needs in the operating room. Zimmer Biomet’s Efficient Care program uses the majority of its 3-D printing of surgical guides for knee, hip and dental procedures. Once a surgeon decides to use Efficient Care, Zimmer Biomet connects with the radiology centers the surgeon is using for that specific patient’s case to gain access to the patient’s images. These images are then used to provide accurate measurements so the surgeon can choose the implants and instruments that will best fit the patient. It is at this point that the Efficient Care team, if applicable, will 3-D print surgical guides that are personalized for the surgeon and the patient. DePuy Synthes’ TruMatch is a similar program that, along with knee and hip surgeries, is used for procedures on the neck, face and skull. TruMatch uses CT scans to create a 3-D image of what will become the patient’s operation site, and then uses the surgeon’s surgical preferences and the patient’s individual needs to create the necessary tools for the surgery. This technology also allows the surgeon to choose the proper implant for that specific patient. All of this happens within three to four weeks. The medical device industry is also making strides in veterinary orthopedic solutions to meet an increased demand for veterinary services. This year, Warsaw welcomed Owl Manor Medical LLC to its medical device cluster. The company is developing and globally commercializing products that support both animal and human health interests. Its animal health division, Owl Manor Veterinary, is currently focused on point-of-care regenerative medicine technologies, which are targeted toward the canine and equine markets for the treatment of joint, soft tissue and wound related conditions. After seeing the success of different platelet concentrations and bone marrow solutions for joint and soft tissue in humans over the course of 15 years, the founders of Owl Manor saw the potential for similar products in the animal world. CEO Mark Schindel and Owl Manor COO Mike Leach spent time in the orthopedic world of humans at Biomet and Zimmer and have since transferred their skills to animal orthopedic solutions. The company’s products use an animal’s blood and cells to create solutions. For example, one joint medicine uses the animal’s own white blood cells and reprograms them to act as anti-inflammatory proteins, called interleukin 1 receptor antagonist proteins. Afterwards, the blood is reinjected and keeps the animal’s joints uninflamed and regenerates cartilage for up to a year. Over the past year, the federal government launched two major value-based healthcare mandates that base reimbursement more on patient outcomes from procedures rather than the number of procedures and treatments performed. 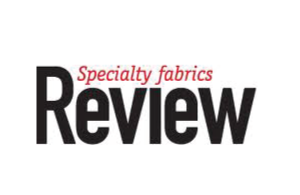 “For the medical industry, this shift meant that we had to go beyond demonstrating the effectiveness and benefit of our products, and showcase how we helped increase value and care efficiency,” Kendrick said. The federal initiatives led the company to developing Zimmer Biomet Signature Solutions, a package of clinical services and technologies intended to help hospitals and physician practices conform to value based healthcare models that focus on quality outcomes for patients. As baby-boomer workers retire, the medical device industry faces a challenge in workforce development. In Indiana, the industry is focused on developing highly skilled workers ready to fill the jobs that will become available. Several medical device manufacturers from northeast Indiana participated in the 2016 Indiana Manufacturing Survey: Roadblocks to Prosperity. The consensus among them was their production employees needed at least a two-year technical degree, as well as some time in advanced manufacturing apprenticeship. Respondents to the survey considered the state’s labor shortage by far the greatest constraint to growth. Many medical device manufacturers, for example, must continually hire new workers to keep pace with growing global demand for the kind of products they make, and many of them believe they could capture a greater share of their markets more quickly if they were able to accelerate their workforce expansion. The global orthopedic device market is anticipated to reach $43.1 billion by 2024, according to a report by Grand View Research, a business management consultant. Driving market growth are the increasing adoption of advanced technologies and materials as well as the rising geriatric population. In 2015, North America captured the largest market share, with 51.4 percent, and is expected to maintain its dominance through 2024, according to the report. With the passage of the 21st Century Cures Act, Heuer is hopeful that the new year will bring policies that streamline and update regulatory processes so that patients can get more and faster access to new innovations. “Fortunately, there are those in Congress who recognize that the agencies that regulate our industry have been underfunded and under stimulated to help patients by streamlining their processes to help give patients more and faster access to new life-changing, and sometimes life-saving innovations,” she said. It can currently take years to get new products to market, Heuer said. “FDA is already leading the charge in setting up policies to streamline and update their regulatory processes, and the results from passing the 21st Century Cures Act will allow more patients better access to these innovations, so we hope to see more people leading fuller and longer lives,” she said. Inside the Healthcare Market: The key to selling to the healthcare industry is patience – and lots of it. 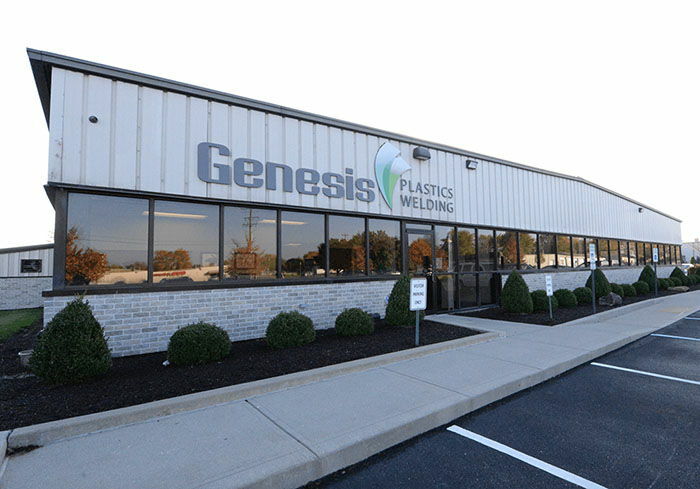 Genesis Plastics Welding is expanding its clean room to create more capacity for radiofrequency welding of medical devices. 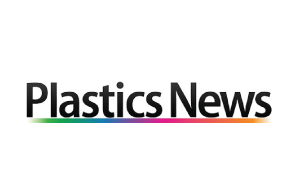 The company also expects to expand its plant by 50 percent within the next year as it continues to grow its medical‐device contract manufacturing business. 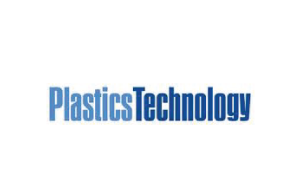 Read More..
RF-welding technology from Genesis Plastics Welding can weld TPEs, such as those supplied by PolyOne, into 3-D configurations, including mandrels.